President Trump speaks during a White House meeting with state and local officials to discuss school safety last month. President Trump sounds interested — for now — in solving at least some of this country's gun problems in the wake of the mass shooting that left 17 students and educators dead in a Florida high school. But the president has also seemed confused and misinformed about why previous efforts at gun regulation have failed, or even what "due process" means when taking firearms from those who are a danger to themselves or others. Fortunately, he has a top-notch research agency that can study the problem in detail to establish evidence and information in support of solutions. All the Centers for Disease Control and Prevention needs is governmental permission to resume research on guns, and protection from political influence. It has been more than two decades since Congress passed the "Dickey amendment" in what was supposed to be an effort to keep the CDC neutral in the debate about gun control. But for the National Rifle Association, even a statement such as "having a gun in the house increases the chance of homicide" was too politically charged. As a result, the CDC and other federal agencies were kept from studying the public health impacts of guns and offering ways that could prevent injuries or deaths. For example, the United States sees 30,000 gun deaths a year. More than half of those are suicides. Are there ways to prevent these deaths? How many lives might have been saved if we had the data and knowledge about gun violence that could have been accumulating for the last 20 years? The 29-word amendment, approved in 1996 on Page 245 of a 750-page bill, and backed since then by gun industry lobbying, has had a lasting impact on American safety. It says "none of the funds made available for injury prevention and control at the Centers For Disease Control and Prevention may be used to advocate or promote gun control." U.S. Rep. Jay Dickey (R., Ark. ), who died last year, told NPR in 2015 that he never meant for his amendment to cut off funding for research and that he came to regret that outcome. 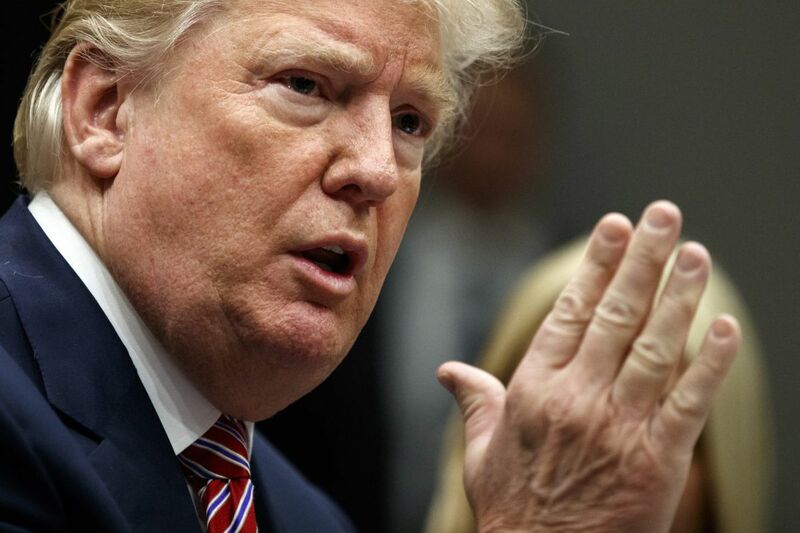 Trump sounded wide-open to new gun regulations during a meeting at the White House on Wednesday with members of Congress, making a series of suggestions that delighted Democrats and dismayed Republicans. This would not be the first time the president has pulled this move — with the media broadcasting it live — only to upend any potential for a deal by completely shifting his stance. All signs point to a Trump double-cross coming on guns since, really, the only constant of his administration is uncertainty. But in that — with Democrats and Republicans equally surprised by his sudden and seismic shifts in positions — there may be opportunity. Poll after poll shows Americans are fed up with gun violence and, after each massacre call for our elected leaders to act on the problem. Six members of the House have written to Speaker Paul Ryan, asking him to take up legislation to repeal the Dickey amendment. That's what Dickey would have wanted. Ryan should respect that and act, allowing the repression of scientific study in an important area of public health to finally come to an end.